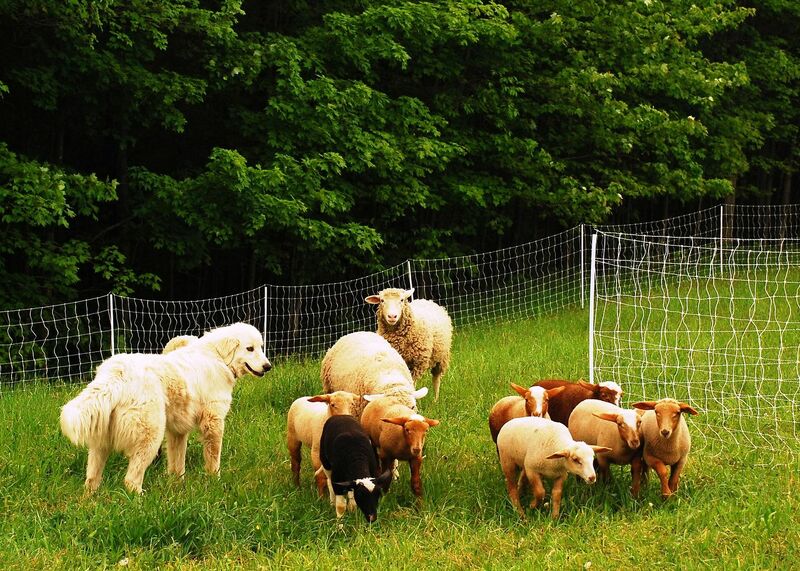 We offer lamb in full shares and pork in full or 1/2 shares. The lamb is $12 lb. and the pork is $9 lb. based on the hanging weight of the animal. 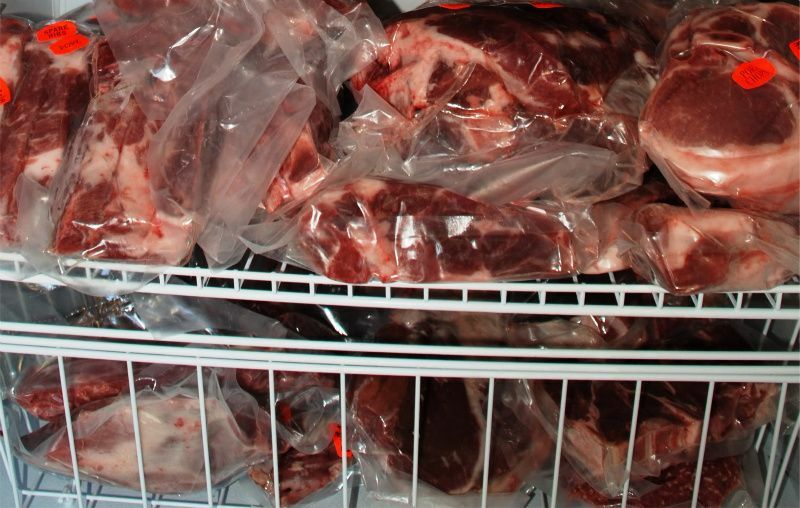 Included in a share price is: (1) transportation of your animal to-and-from the processor; and (2) your meat is cut, smoked (as needed) and vacuum packed. We provide approximately 7-10 days notice prior to delivery date. 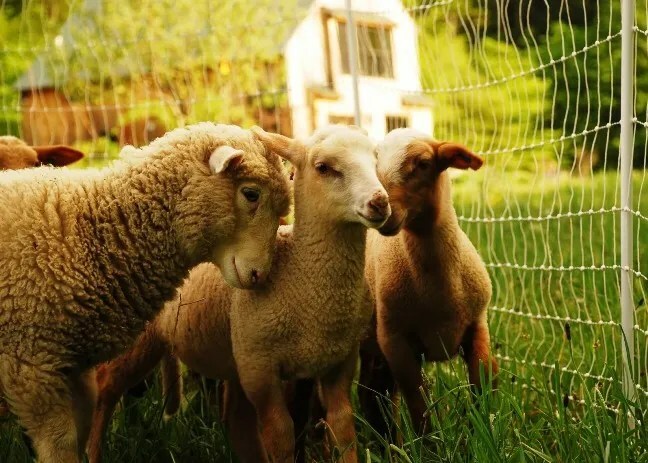 To purchase a share, or 1/2 share of one of our animals, please call (802.234.1964) for specific information regarding deposits, pick-up dates and the approximate expected weight of your animal. We often have select cuts for sale as well. Prices and availability for select cuts (e.g. lamb burger, leg of lamb, lamb chops) will vary. Please call or email if you are interested. 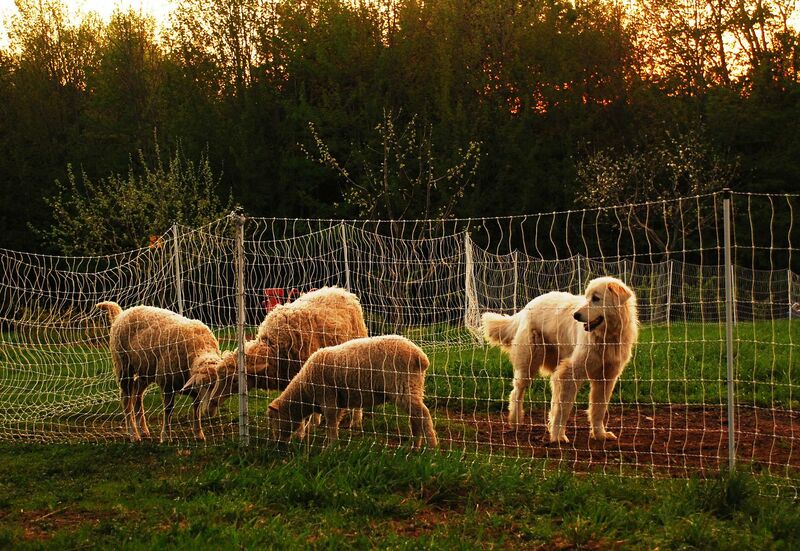 Livestock guardian dog,”Rollie,” a Maremma, keeps a watchful eye on Ewes & lambs. Two nights in a row we had a litter of pigs. The first litter came last Thursday night through Friday morning. 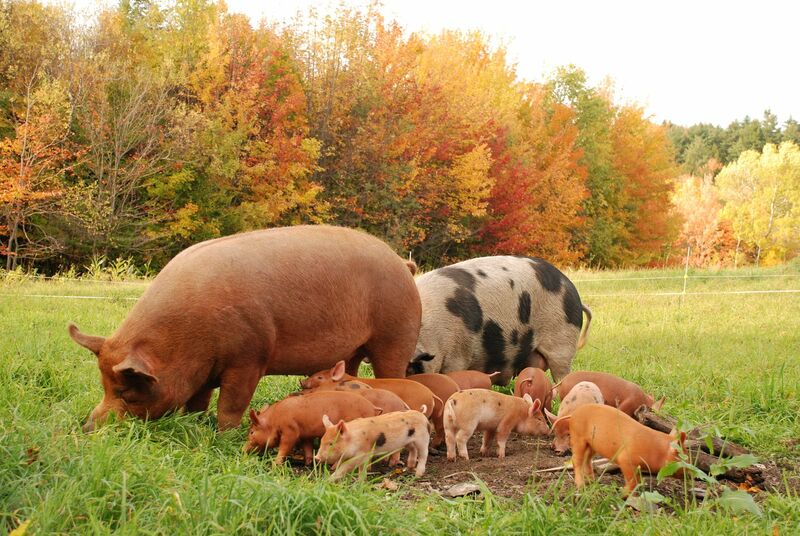 Our sow Cheek (as in “nice hams”) had her first litter. 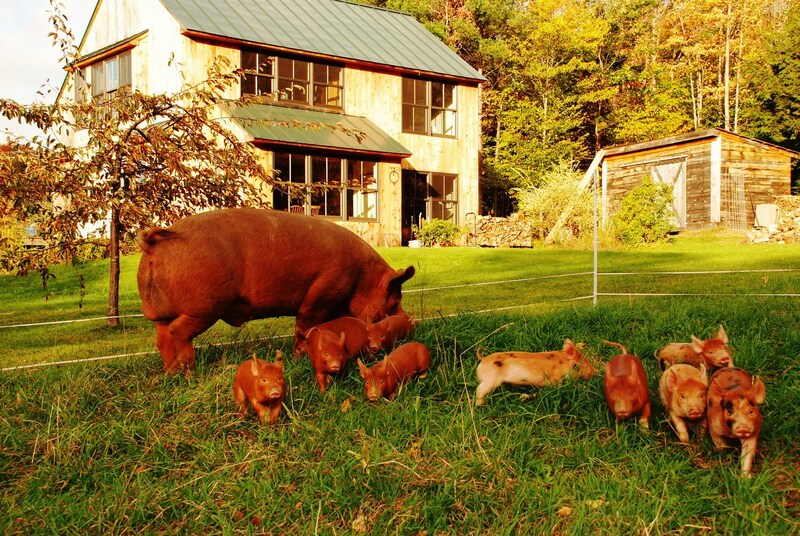 Nine live births. 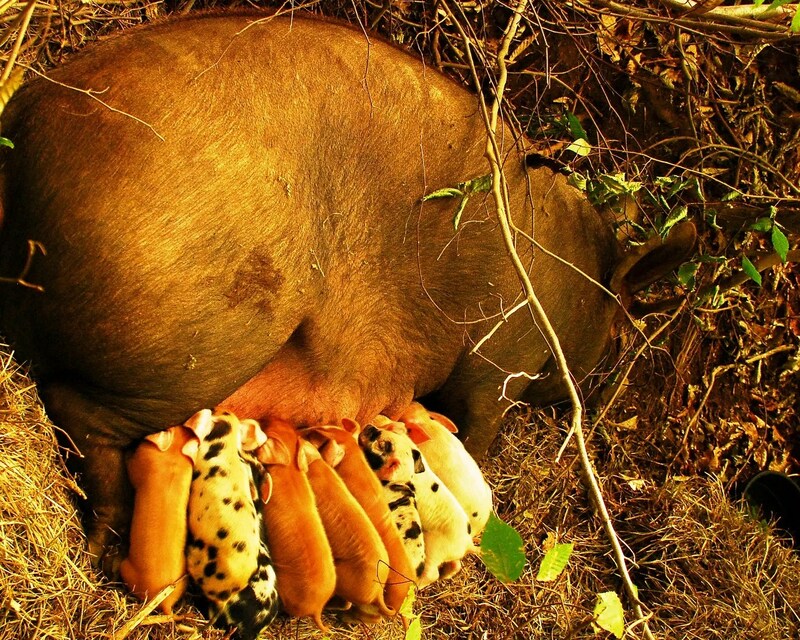 All nine are hearty, squeaky and well-attached to mom. 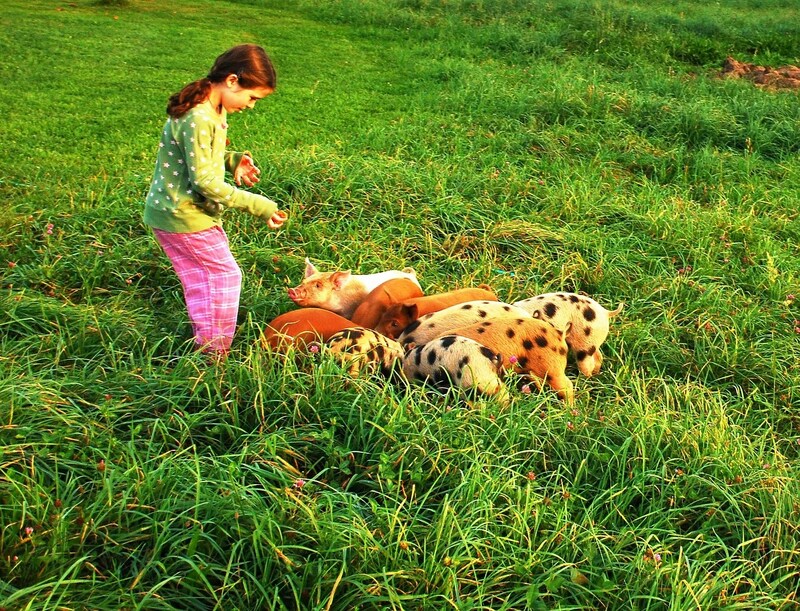 People ask us, “what do you mean by rotational grazing? Here it means . 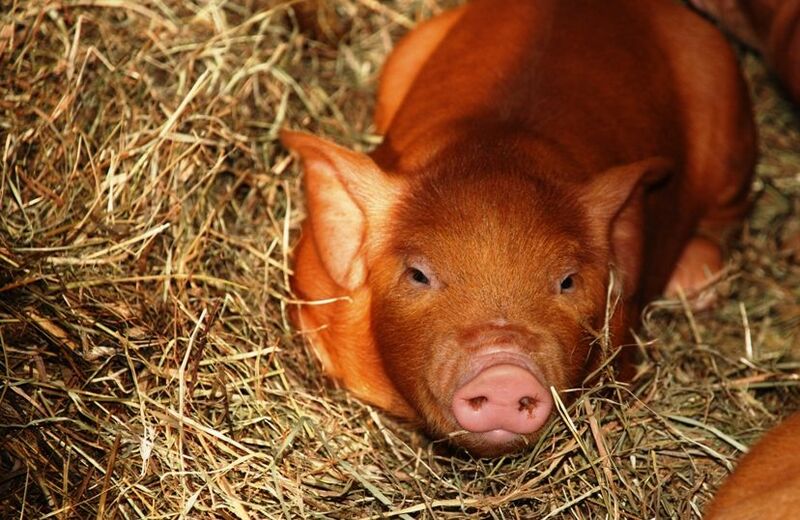 . .
there are several things you should know about our piglets. The first thing anyone needs to know about Wandering Boar Farm is: what does a “wandering boar” look like? 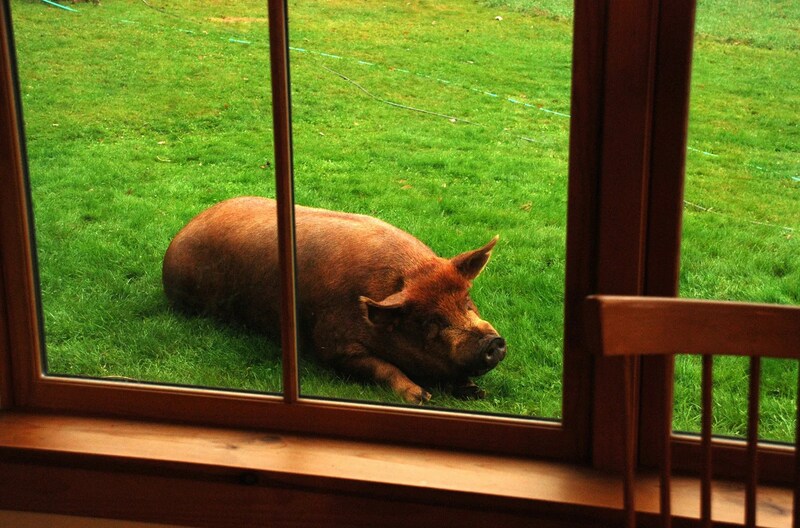 This is a wandering boar that has broken out of his pen and sauntered over to the kitchen window following the smell of freshly cooked breakfast. 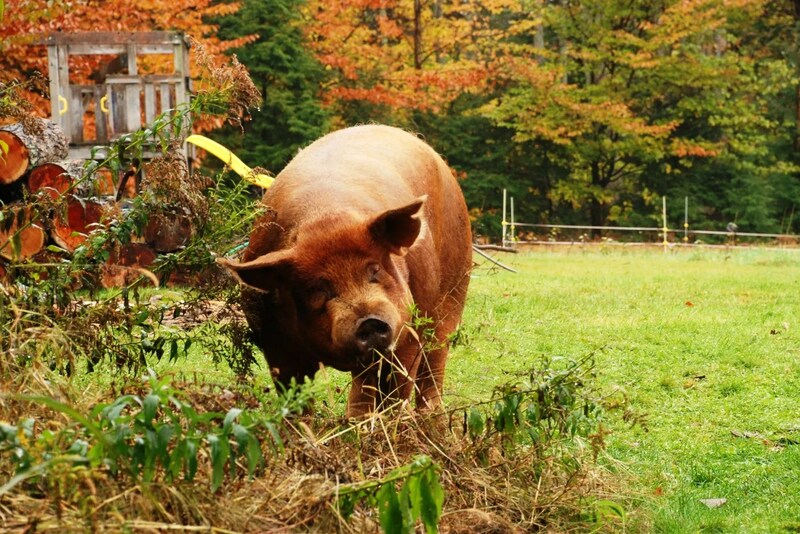 This is what a wandering boar looks like when he escapes and stops to scratch his ears in the fall remnants of a flower garden.